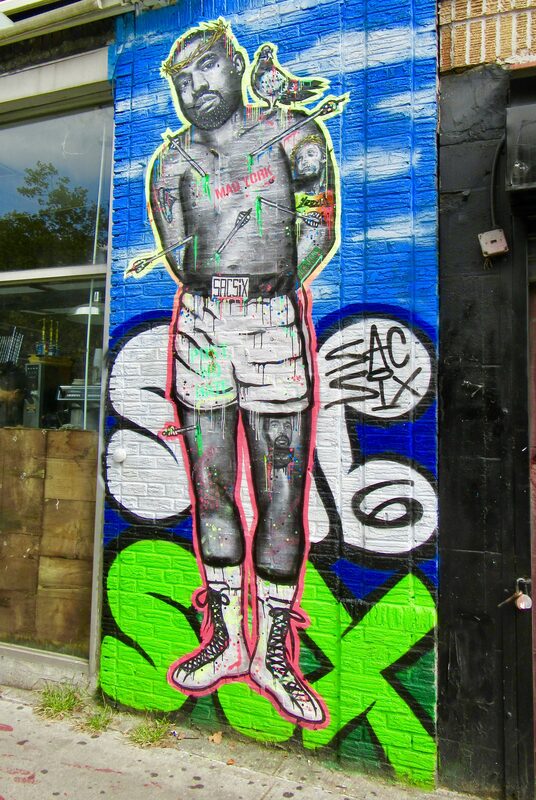 Jerry Seinfeld is Street Art! 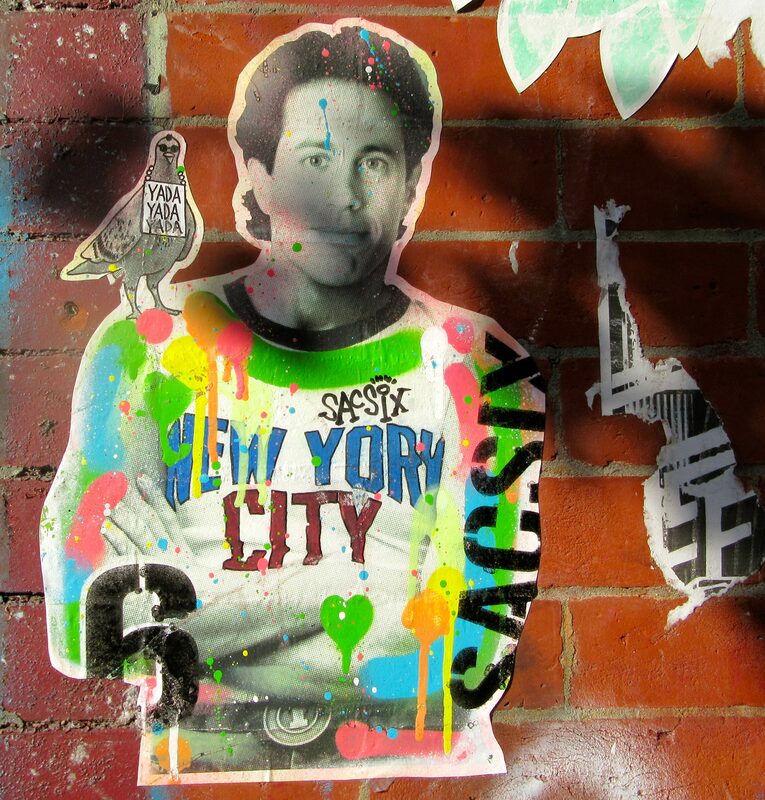 What I like about this wheat-paste — by Brooklyn Street Artist Sac Six — is that it’s actually a clever mash-up of the famous Bob Gruen photo of John Lennon in his New York City T-Shirt, with the head of comedian Jerry Seinfeld. The pigeon on Jerry/John’s shoulder utters a catch phrase from a memorable episode of Sienfeld, which makes this a quintessentially NYC bit of ephemera. Photographed in Williamsburg, Brooklyn near the Bedford L Train Station.